What the hell was this thing? Part bull, part dragon, part dinosaur, part man, part gog, and of course, underpants. And Kirby creates an engine of rampaging violence and destruction who (?) that (?) brings Thor to his knees in a Viking version of the siege of the Alamo. Look at this thing! Giant talons, a face that’s a cross between a medieval gargoyle and the Minotaur, garish yellow skin, a prehensile tail, and the fckin’ without-a-doubt worst attitude of any “villain” I’d ever seen in a comic. “Villain” is such a minimizing description of what Mangog was. He was more a force of nature, but even that term doesn’t quite cover it, because he was just… so … damned… pissed off. There was no rationalizing, no inner nobility, no moment of pathos. Mangog was unstoppable, relentless, inevitable with the sheer power and fury of a hurricane, a tornado, a meteor hit, a tsunami, and a firestorm, but with evil the motivating stimulus in its primitive, reptilian, Id-creature mind. He was indeed the amalgamation of Gog and Magog, the prophesied allies of Satan who would be presnt at the End of Times. And Kirby caught all that perfectly in this rampaging colossus seemingly hewn from stone and bedecked with horns, fur (in some panels it seems so, anyway) and that bizarre goatee-thing implanted beneath his chin. 2) How the bleeping bleep did no one ever notice, call, or sue the “creators” of “The Death of Superman” gimmick featuring Mang… er “Doomsday” as the villain? I did enjoy Mangog's second rampage just before Thor #200, too, but that may be because it was the first time I met him. 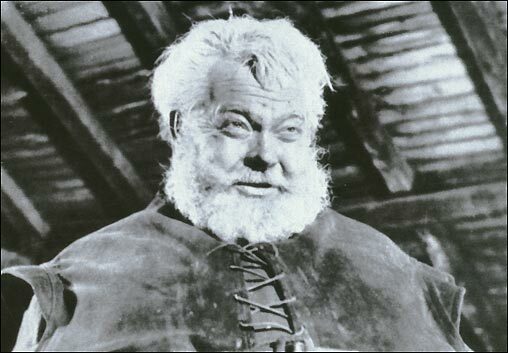 The big lug would have been #11 on my list! The greatest cover of all...well bloody close in my book. What more could you do to insure sweaty little 14 yr old boy fingers would grab your book (without going all NSFW). How could I not choose the baddy on the best. As for Uncle Norman, doing his best Heath Ledger impersonation, the perfect foil for Spidey. As a scientist, having to deal with someone so illogical and deranged must have been murder on Pete, let alone finding out hes your best mates old man. 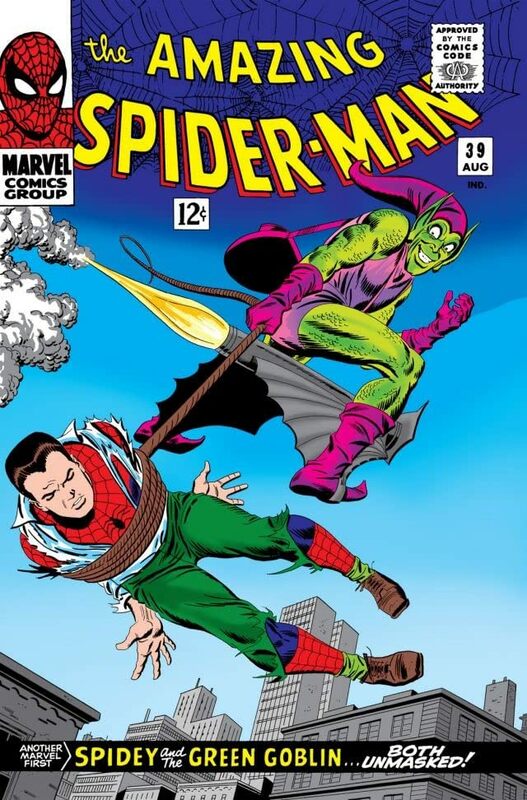 I loved how that was handled in the current Spider-Man movie(yes I know,that was Vulture,but we all know the story beat was lifted straight outa Osbornville). I see this as one of the greatest dilemmas in comics, because really, IRL, how could you screw over your best friends life by outing his dad? The way this has been handled with the effect on Harry over the years, as emo as it has seemed at times, has probably been closer to reality than we would like. Designwise I like that our hero, the science geek, is faced with a figure taking its inspiration from a mythological source, whether thats faerie or your Halloween type tales, the costume slight cuteness belies the utter ruthlessness of its wearer, whose evil even stretches to purposely polluting our skies with carbon emissions. 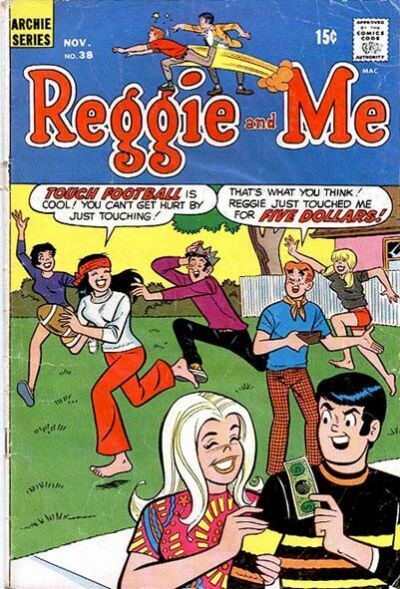 Reggie's look is an interesting counterpoint to Archie in a couple different ways - He's a more dapper dresser, and his black hair contrasts with Archie's red. But what makes the character is the eyebrows. 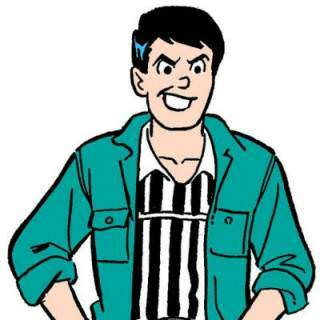 Big, black, bushy and (preferably) jagged lightning bolt shape, the eyebrows off-set Reggie's eyes and give him a sneering, mocking, presence somewhere between "mischievous" and "pure evil." The eyebrows are such a small, subtle element of design but they COMPLETELY make the character. The devil is in the details. I'm a sucker for an evil version of a good guy's costume anyway, but in this case it actually was the good guy gone bad. (In the original telling, anyway.) 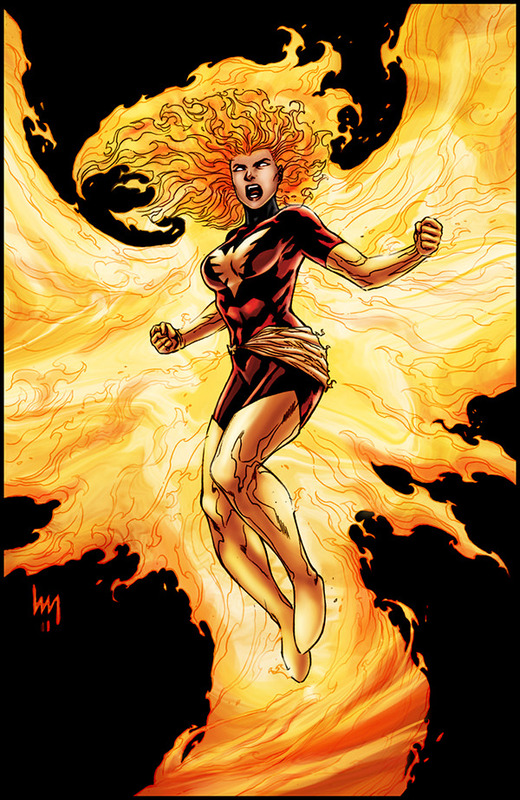 So you have Jean Gray, original X-Man and really boring character, reborn as she fully embraces the incredible power of the Phoenix. Instead of green, we have a deep red, speaking of flame (more appropriate for a phoenix in the first place) and power and intensity and evil. (By somebody else's standards.) The eyes are inhuman, as the power consumes her. I liked the phoenix emblem on her chest and that sash around the waist anyway, but they're so much cooler in this color combo. And when they put that phoenix-shaped energy thing around her? So damned cool. Jean, as she let her inner desires take the fore, was powerful, lustful, more than a little frightening, and (pardon the expression) hot as hell. I loved this character, and I really hated the whole Phoenix entity reveal. 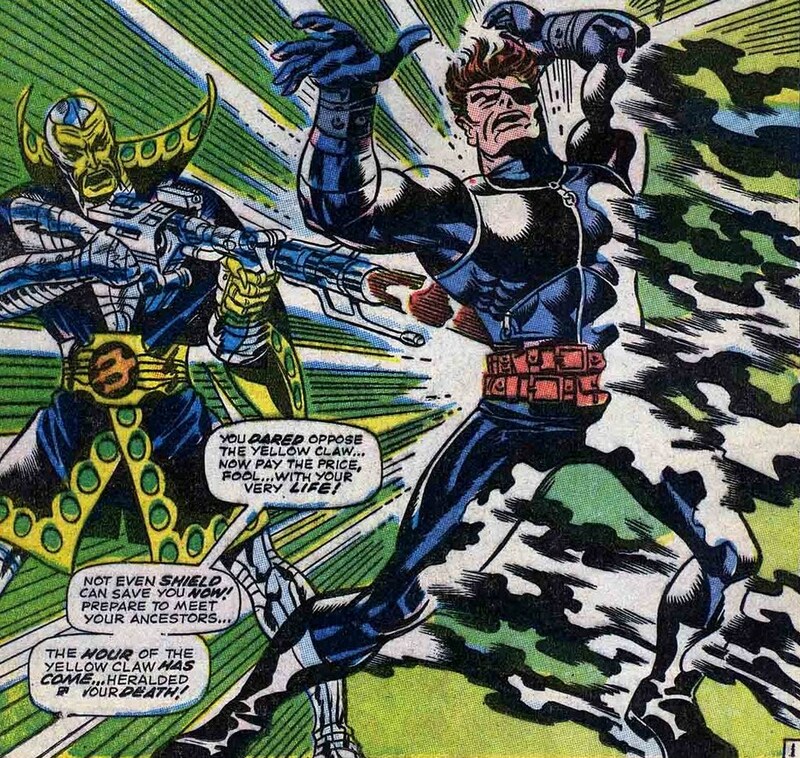 I think it would have been so much more interesting to let one of Marvel's earliest heros become, and remain, a complete villain. Power corrupts, sure. But in this case, it looks so good on her. yeah, I know he's been used before and he doesn't stack up against the major villains posted so far but ..... cmon he has Razors for fists !!!!! (...) I liked the phoenix emblem on her chest and that sash around the waist anyway, but they're so much cooler in this color combo. I also liked the slight tweak in design between the green Phoenix outfit and the Dark Phoneix one. In the former case, there was a V-shaped black part on Jean's chest, with a Phoenix emblem at the bottom. 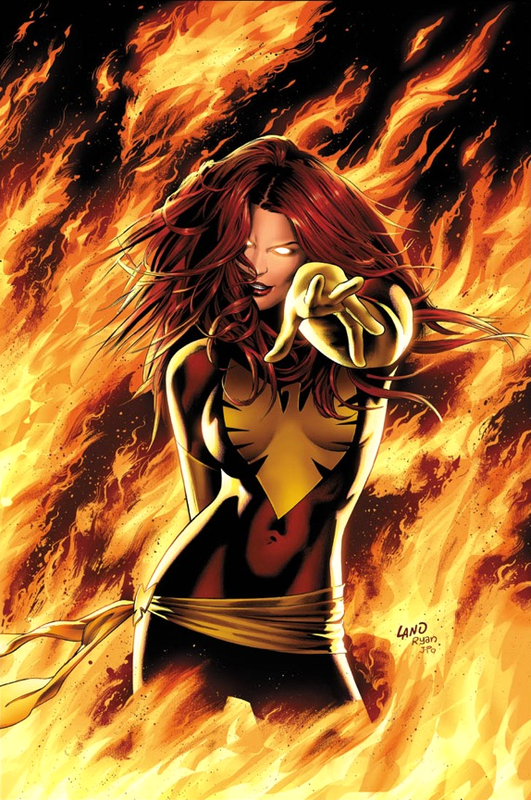 When she became Dark Phoenix, the emblem took over the entirety of the V shape, just as the Phoenix persona had taken her over. Prince Hal did a great job of putting into words just what made that first appearance so powerful. Perhaps the scariest monster ever in comics, a pure, raging beast that was going to destroy you and anything that stood in his way and there wasn't a damn thing you or anyone else could do about it, not even the strongest heroes. Still haven't read the 2nd Mangog story, but I remember a still later one, around the #250 anniversary, that was pretty weak, I'm sorry to say. I haven't seen anyone else who was able to re-capture the magic that Kirby, along with Lee and Coletta (who I think deserves some credit here) created in that first Mangog epic. Great point, RR. Thanks for pointing it out. And yeah, the bigger bird emblem looked much better. My second "mirror image" villain but hey, who's counting. Venom looks great to me, a dark and scary version of Spider-Man. 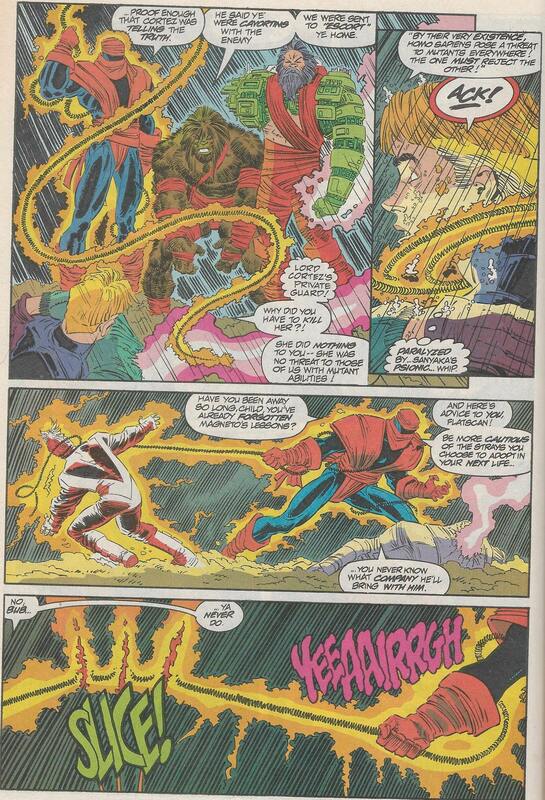 The fact that the symbiote hates Parker and so does its host fuels his rage. I love the snarling teeth and while the muscles got a bit excessive at times, it seemed to work. 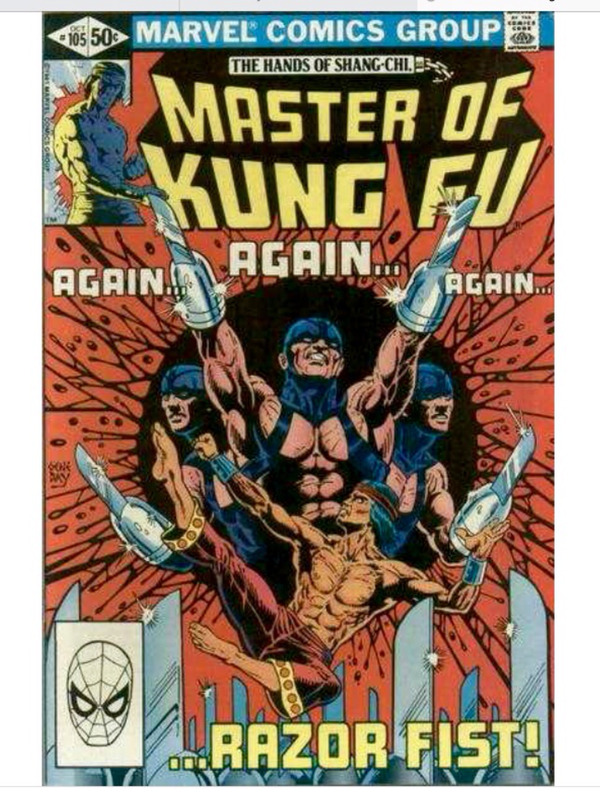 I enjoy McFarlane's original look but Larsen made it better. Compared to Carnage, who does look cool, I still think Venom looks better. And I know its not from a comic but my all-time favourite version was the one we got in the 90's cartoon. 6. Senyaka by John Romita Jr. This is a villain I know little about but whose image somehow burned into my brain. Face-obscuring turban and life-draining whip. If I ever imagine a super-villain showing up to terrorize the restaurant I'm at, there's a decent chance he looks something like this. I know almost nothing about Senyaka except that he's one of Magneto's acolytes. I looked him up a bit for this entry. I apparently know most of what there is to know about him. He's a real "shrouded in mystery" character. I never would have thought of a non-costumed human character. Way to think outside the box! This was the very first villain I thought of while compiling my list. She didn't end up making my top 10 only because my favorite aspects of her design were a part of her heroic look too (most especially the "phoenix effect"). But yes, great choice and great explanation! Yeah, same here. 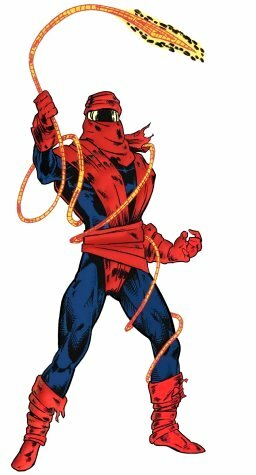 J.Jonah Jameson was one of the first villains I thought of when compiling my list, but decided that his "costume", flattop and moustache just wasn't a striking enough design to make the Top 12. And this year's event is all about the design. Fear the Yellow Claw ! 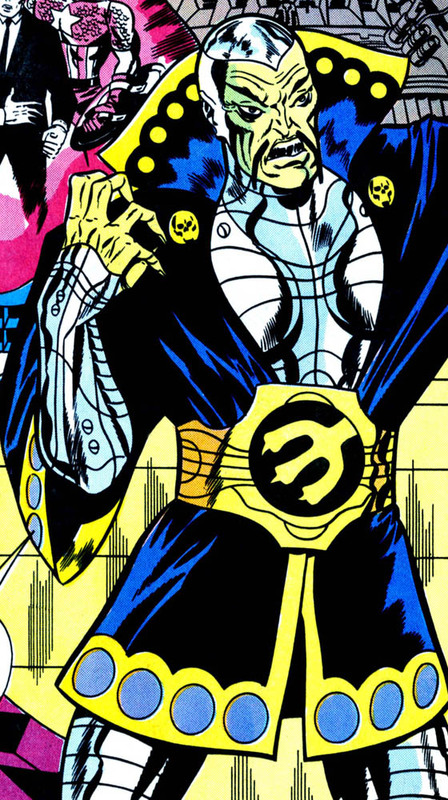 While probably not politically correct, I love the holy heck out of the look of this villain with his Oriental robe, flaired collar and skulls, of course the Fu Manchu, and his bright yellow skin contrasted with the steel armor.